Drive More Leads - More than just more. Drive relevant leads that convert. Convert Leads to Sales - Close business by sending exactly the right message at exactly the right time using powerful, behavioral-based communication. Optimize Your Spend - Double down on what works and axe what doesn’t. Comprehensive reports make it easy. No Contracts - Month-to-month billing, not annual like the others. 1 user or 50+ users, 1 monthly fee - does not increase per user. Built to increase & optimize your marketing efforts. PRowl Communications for marketing automation utilizing SharpSpring in Niagara / Hamilton, Halton. 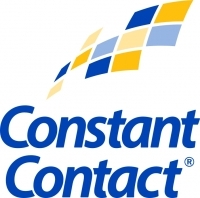 Constant Contact: Everything you need for your email marketing, event registrations, surveys, fundraising, donation campaigns and social media content sharing requirements. Get a FREE 60 Day Trial. Zoho Backstage is enterprise event management software that helps you create memorable experiences. It's everything you need to succeed: website building, ticketing, event promotion, attendee registration, and more. Zoho One is a revolutionary all-in-one suite to run your entire business with more than 40 sales, marketing and business tools in one system —for a price that will change the way you think about buying software. They're calling Zoho crazy on this one. Track leads, optimise your sales activities, and foster better customer relations. 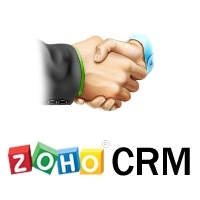 Zoho CRM is a cloud based solution that helps you track sales activities, predict customer behaviour, automate, and keep sales processes streamlined. StickerYou.com provides the highest quality of custom sticky products. No minimums. A powerful marketing automation system. Drive More Leads - More than just more. Drive relevant leads that convert. She knows many people in the community & I feel an increase in business since our professional relationship began. Debi's social media skills are an asset to any business owner.